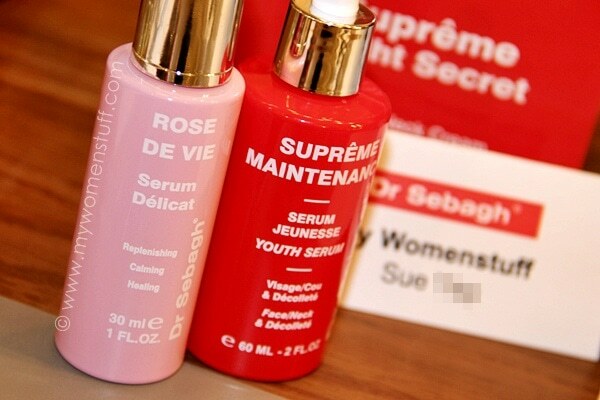 Home » Skincare » Serum » Using Two Face Serums Together : A Doctor Says Its All OK! Using Two Face Serums Together : A Doctor Says Its All OK! A while ago, I wrote a post about using two different serums together and I said that I did it because it just felt right for me, and did not break me out or kill my skin or anything. If anything, some combinations made my skin look better than it ever did. I recently had the opportunity to meet with Dr. Jean-Louis Sebagh, famed aesthetic surgeon who was in town for a flying visit and to introduce a new night cream in his eponymous skincare line. I’ll be telling you about that soon, but what really got me excited after listening to him over lunch, is how he advocates the use of 2 different face serums, if necessary! I sought confirmation and he said yes. You can use two different serums to target different concerns and because serums are different in texture and formula and content so the answer by Le Docteur is yes! It feels great to know I could be doing the right thing all by myself 😉 I’ll share here some things I learned from the good Doctor who is a big advocate of aesthetic procedures but who also says that using good skincare is the first step to age maintenance. The rationale behind why one might use 2 serums together is because different serums serve different purposes and have different compositions. Generally speaking, active ingredients dissolve better in water and so a water based serum will generally be able to contain higher concentrations of active ingredients. By contrast, an oil based serum may contain less of the active ingredients because there is no water medium for the ingredients to blend into. Consistency and concentration aside, skincare serums do contain a higher concentration of active ingredients when compared to a normal face cream, hence the higher prices associated with serums and the greater efficacy. I for one do tend to believe in using a good face serum even if I use a regular face cream, simply because of the concentration of ingredients in a serum. The ideology behind the blending or mixing of 2 different serums comes down to the composition of a moisturizer. Essentially, a face cream is an emulsion of oil and water. So, says the good Doctor, if you were to blend 2 different serums of oil and water bases, you could customize your own face cream, with a higher concentration of active ingredients! Generally speaking, oily skin would not take well to oil based serums whilst dry skins will find water based serums less effective. Combining two different serums in different quantities e.g. 2 drops of oil to 1 drop of water for dry skins may yield a better result than just using an oil based serum. You can mix the two serums in the palm of your hand to create your own customized face cream to suit your skin needs, or you can layer them on your skin, one after the other, starting with the one that is lighter in texture. If your skin is feeling drier, use more oil based serums and if you’re oily, adjust the mixture accordingly. I asked if you might need to use a separate cream thereafter, and Dr. Sebagh said it was really up to how you feel. If you feel the serums aren’t moisturizing enough, a thin layer of face cream over it might help seal in moisture better. However, if you feel comfortable, then you may not need it. Granted that we were discussing the merits of using the Dr. Sebagh Supreme Maintenance Youth Serum (water based) and Rose de Vie serums (oil based) but he was generous to keep discussions relatively open so the moral of the story that I took away from the lunch was this – It is alright to mix 2 different serums together to suit your skin’s needs and this is what real luxury bespoke skincare is; where you can customize your skincare to your own needs. Thanks for sharing this info. I don’t use 2 serums at one go but I use different serum for day and night. At night I use Clinique laser focus, a night cream and top up with clinique moisture surge. The combination keeps my skin well hydrated. I find that Clinique Laser focus is better than ANR in terms of brightening and reducing fine lines. It can be applied on the eye area which i really like. My bottle is finishing soon but I got other serums to try now. Yaaaay I’m so excited I wish i’d seen your site a month ago. I had a horrible outbreak on my face and neck and had dark circles.i used Clinique products (3step-anti blemish) dark spot corrector, even better moisturizer and youth surge night for 4 months but the results were very slow and it instead dried out my skin, I still had acne but my checks became painfully dry. A friend recommended Estée Lauder 4 weeks ago I went and bought small amounts of their perfectly clean face wash, toner, day wear, ANR, idealist even skin tone illuminator and advanced night repair eye recovery complex. My skin had improved a lot the spots have faded and my eyes look brighter but the downside is that the daywear cream made me break out when I went to the EL sales assistant she swapped it for Time Zone cream my skin is still breaking out I’ve decided to use my Clinique even better moisturizer ( i still have most of my clinique products left) to see if I’m still going to break out. I started yesterday a part of me has been worried because the Sales Assistant told me not to mix different products and I still have a lot of my Clinique products , can I mix them and find a regiment that works for me? I mix and match all my skincare so I’d say its good. Just mix and match till you find a winning combination for yourself. This previous post on this topic may be of help. Glad to have found this article! I just turned 20 and I’m starting to maintain my skin. I happen to have two serums to wear (one is pore tightening and the other is acne prevention + whitening), and I’ve been reluctant to wear the two of them at the same time (by layering) until I stumbled upon this article. Now I’m convinced. Thank you and thanks to the good doctor as well! I love this blog and I’m happy I’m a part of it want to know if I can use serum only for my face without missing with any other product and also if I can mix the same serum I’m using for my face in my body lotion. A reply ll b appreciated. If you feel your serum is enough without applying moisturiser then yes, serum alone is enough. It’s up to you, although it is useful to have a layer of moisturiser on to seal everything in. Also, if you want to mix your face serum into your body lotion, you can but it will be very expensive! Thanks paris for replying my question but can you recommend a good moisturiser and and maybe if I can mix both together instead of applying the moisturiser prior to the serum usage. 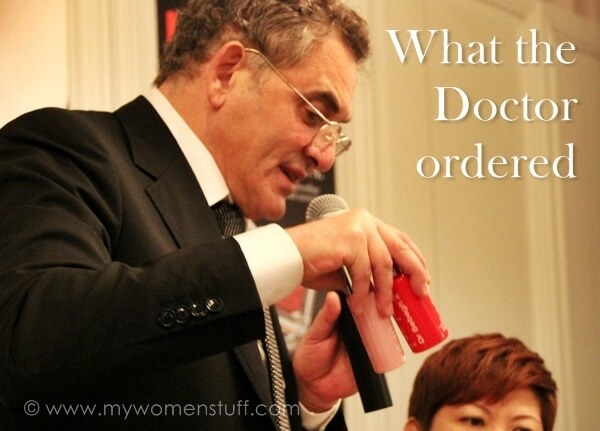 I personally won’t mix the serum into the moisturiser but layer them on for better efficacy. But if it works for you then go ahead. Moisturisers are very personal. Perhaps you can take a look at the moisturiser category and see if any of them suit your skintype or needs. I actually use several different serums & creams both morning & night. They all do different things & I love them all. I use a mask every night, I have 6 so I use a different one each night. And I also have 2 eye serums that I use as well. I have slightly oily skin & used to get a lot of breakouts but since I started this new routine, my skin has never looked better & I only ever get the odd one or two pimples a MONTH! Which is a MASSIVE improvement. My Mum thinks it’s ridiculous that I use so many products (she’s never used a Moisturiser in her life!) and maybe it is excessive but it’s working for me so as long as I’m not doing any major damage by doing this (please tell me if I am) than I’m happy to continue.